One of the key five major missions of BioISI is advanced training. The opportunities for advanced training at BioISI focus around 2 major actions: PhD programmes and training programmes for Postdocs. BioISI hosts the BioSys PhD programme evaluated as one of the top PhD programme for the life sciences in Portugal. 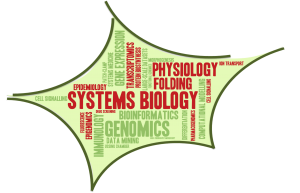 Inspired by the EMBL International PhD programme, BioSys was approved for funding for 4 editions/8 years, to host a total of 44 PhD students who will receive multidisciplinary training in biological and computational subjects.